I’ve heard it said that heartbreak—just like beauty—is in the eye of the beholder. What breaks my heart and causes me pain may not be the same for you. We all have God-given strengths and weaknesses. We all handle situations differently. And each one of us sees things from a unique and individual perspective. Some view this as a negative. I see it as a positive. In God’s economy, nothing is ever wasted. He can take any situation the enemy means for evil and destruction and turn it around, working it for our good and His glory. One way He accomplishes this is by having us share our stories—our tragedies and triumphs—our failures and successes. This takes a willingness to be open, honest, and transparent. When we take that risk, there is so much we can learn from each other. We all need humor, encouragement, practical advice, and a large dose of hope. 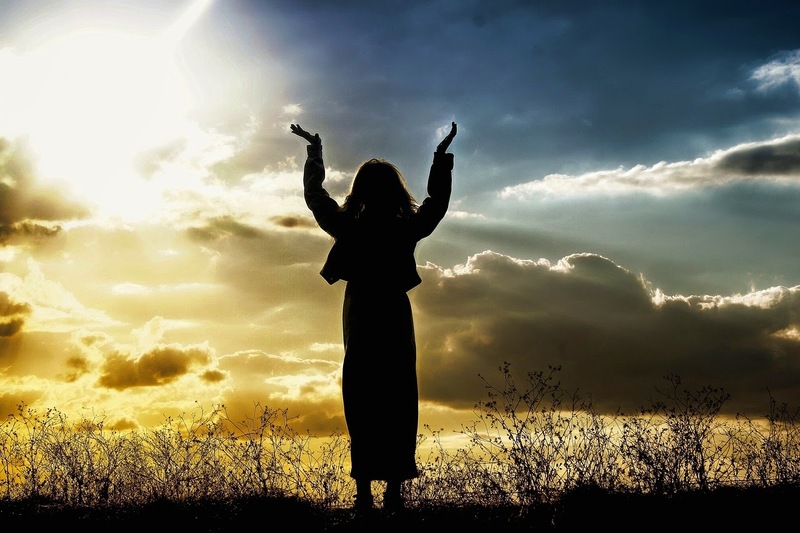 If I am in the middle of a crisis and someone shares with me how God brought them through the same devastating experience, my faith is restored and my hope renewed. It’s like being thrown a lifeline when you feel like you’re going down for the third time. In Praying for the Prodigal, my desire is to throw that lifeline to others who are dealing with a rebellious teen or young adult who has chosen a life of sin and destruction. I want to share the lessons I learned through my journey with two prodigals and encourage parents to pray God’s Word over their children daily. God can work miracles in the lives of those who are fully, wholeheartedly committed to Him, believe His promises are true, and refuse to give up—even when things seem to be falling apart all around them. What do you need to share with others? What hidden resources and experience do you possess that might be the very catalyst to restore someone’s faith. Whatever it is, I encourage you to dig deep, then be willing to share your journey. You might be the exact answer to someone’s prayer. 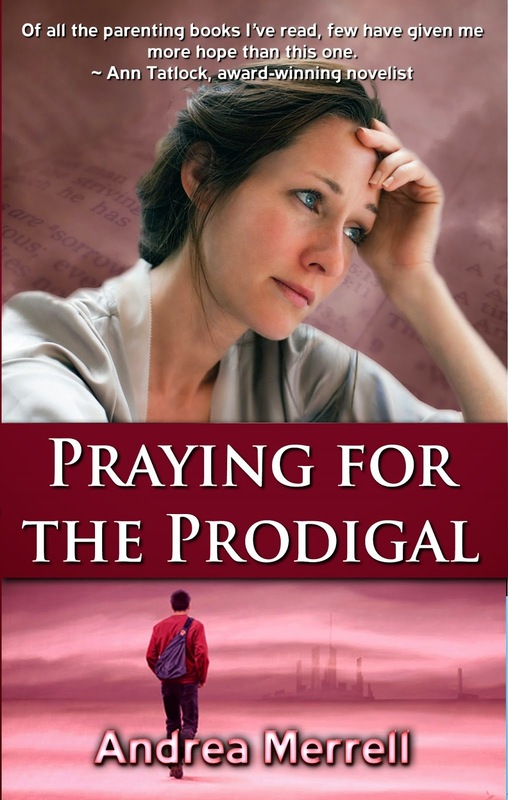 ** Praying for the Prodigal (March 25, 2015, Lighthouse Publishing of the Carolinas) is available at Amazon. Fewer things are more heartbreaking than watching your child march boldly into a life of sin and destruction—unless it’s watching both of your children take that dark path at the same time. This definitely raises the stakes and doubles the agony of being the parent of a prodigal. This is the basis for my new book, Praying for the Prodigal. This book is an example of how God can take a devastating situation, turn it around, and work it for our good and His glory. It also shows us how God creates beauty out of ashes by taking our pain and turning it into something that will touch the hearts of hurting people. Raised in a godly environment, my children went to Sunday school, VBS, and Christian camps. They never listen to secular music or read secular books. They could quote Scripture verses and knew all the words to the most popular Christian songs. Born again and baptized at an early age, they were good, upstanding, obedient kids. What could have possibly gone wrong? The staggering truth: even good kids rebel—and even good parents can end up with a prodigal. My story is a story of redemption and how God protected and delivered two rebellious young people who tried to run from His embrace. But God would not let go—of the prodigals or the parents. Even when I felt that God had turned His back on our family, He was busy working and preparing the way for a glorious homecoming—just like the biblical account of the prodigal son. The lessons I learned during this time—things I wish I had known early-on— are gifts from the Father’s hand, to be shared with others who are in the middle of a fiery trial. And isn’t that our job as writers? To draw from our personal experiences, grow wiser and stronger through the storm, then pay it forward by extending hope, encouragement, and practical advice to help someone gain victory in their own life? If God has called you to write—whether it’s a novel, a Bible study, or a simple devotion—I encourage you to find your passion and channel it into your writing. 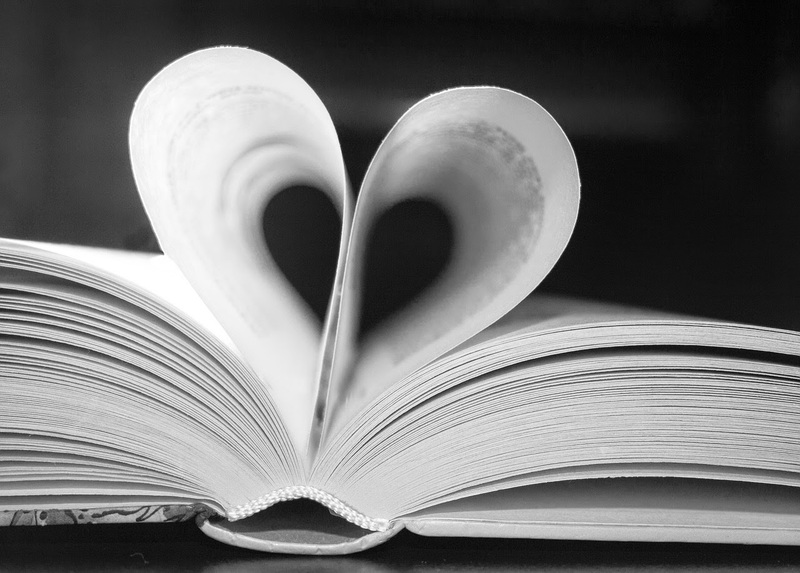 I’ve learned that the more open and transparent you are with your words, the more your readers can relate. Whatever you’ve gone through—sickness, divorce, abuse, abandonment, or the death of a loved one—God can take your words and apply them as a healing balm to someone’s hurting soul. ** Praying for the Prodigal will be released March 25, 2015 by Lighthouse Publishing of the Carolinas. Books can be pre-ordered at Amazon. The lovely Emperor Moth has an interesting life story that helped me get through a rejection in my inbox this week. Here's a story about the moth. Maybe it will help you. A woman once kept a cocoon of an Emperor Moth for a year waiting for the moth to emerge from its tight confines. 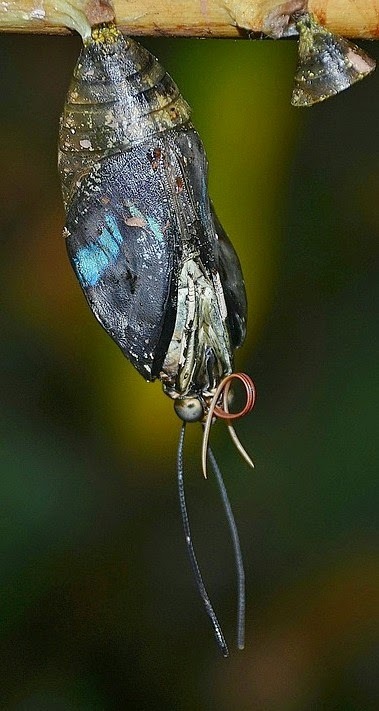 The cocoon had a strange construction in that the neck had a very narrow opening through which the mature insect would have to force its way. The great disparity between the size of the opening and size of the imprisoned moth made the onlooker wonder how the insect would ever emerge. She studied and found that it is believed the pressure to which the moth's body is subjected when passing through such a narrow passage is nature's way of forcing fluids into the wings. And she could hardly wait to see those beautiful wings. One day she witnessed the first efforts of her imprisoned moth to make its escape from the long confinement. She watched for some time as it patiently struggled to be free. It seemed unable to get beyond a certain point. Finally, the woman decided to give the moth a helping hand. With the point of her scissors, she snipped the confining threads to make the exit easier. The moth immediately rolled out, dragging a swollen body. The woman was sure she'd soon see the wings expand into their beautiful colors that were all there in miniature. But she looked in vain. The moth suffered an aborted life and only lived a few minutes. Writing is a lot like writhing as you struggle to master the craft and edit and rewrite and rework and redo the whole process as long as it takes to escape from Unpubbed Island. 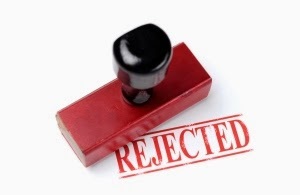 How do you handle rejections? Do you feel like pulling your hair out? Or shutting down your computer and slouching down in front of the movie channel with some popcorn, peanuts, and chocolate? I've decided to mark down my rejections in this struggle to publish in honor of the Emperor Moth. Maybe rejections are part of the pressure that is simply forcing life into my wings! I’ll also feel free to pop in some of that popcorn, peanuts, and chocolate when necessary to get back my writing equilibrium. Thanks for stopping by. Please join the conversation and share how you handle rejection. If this article resounded for you, please share it on twitter and face book by clicking the buttons below. Note: Resources for this blog include Streams in the Desert. Do You Want to Write About Horses? If you are a writer who wants to include horses in your works, I have compiled A Writer's Guide to Horses that should be helpful. I worked with the International Long Rider's Guild to compile this guide, also known as An Equestrian Writer’s Guide. 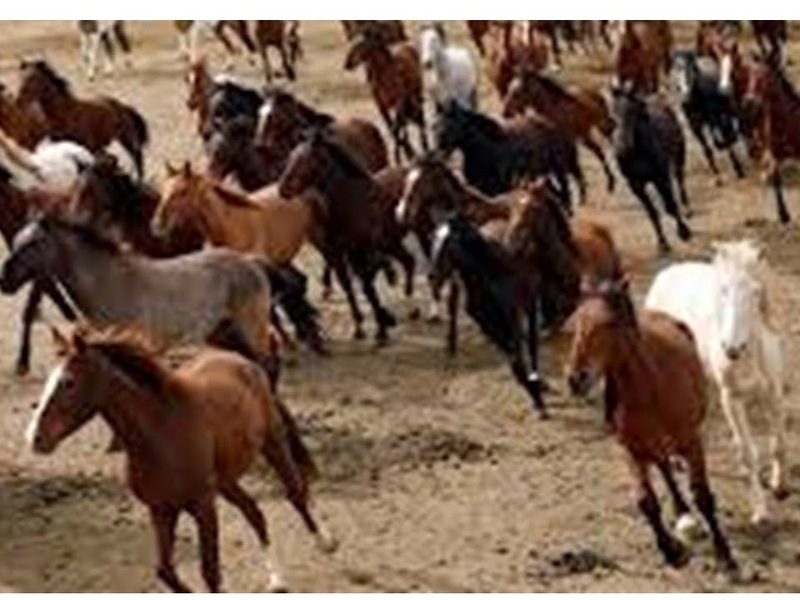 Below is a small excerpt about the sounds horses make, their ear positioning, their body movements, and temperament. The complete Guide can be found at www.lrgaf.org. This is copyrighted material and should not be reproduced without the permission of the Long Riders’ Guild. 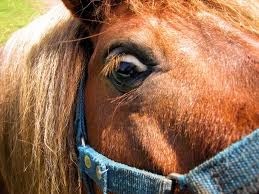 Nicker – vibrating sound with mouth closed using vocal cords; means “hello” when made softly and moving toward a person or horse; means he wants a mate when made more intensely and accompanied by shaking of head; a mare will nicker very softly to her foal. Resting foot – When a horse rests one foot slightly on the hoof tip, it generally means he’s relaxed and comfortable with you and his surroundings. Scream – while fighting with another horse. Snort – exhaling through the nose with mouth shut and producing a vibrating sound in the nostrils; often with head up; when accompanied by a stare, he is checking for danger. 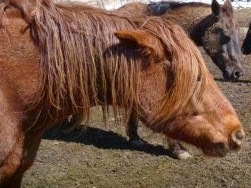 Hollywood Fantasy - Movies often add horse calls as sound effects in the most unlikely situations. These cinematic horses who neigh and scream on a regular basis are largely fictional. Horses are generally rather silent, though they will whinny if parted from their fellows, or nicker softly in greeting at feeding time. Blow – exhaling through the nose with mouth shut, when curious, when meeting nose to nose another horse in greeting; if done gently followed by nuzzling, the horses are friendly; if accompanied by a nip at other horse or stomping of front feet, striking out or squealing, horses are enemies. Breathing – A healthy horse at rest should breathe in a slow, rhythmic manner. Accelerated breathing means he's either in the midst of physical activity or he's becoming anxious. Ears – Horses will rotate their ears towards whatever their attention is focused on. They can hear high and low pitched noises that humans cannot hear; picking up sounds from further away and long before humans. Ear position – alert and interested (ears are up and pointed forward); sleepy, tired, unwell or submissive (ears are pointed out to the side, almost v-shaped to head); relaxed, unwell or bored (ears are pointed up and to the side); angry and aggressive (ears are back and pinned flat against the head). 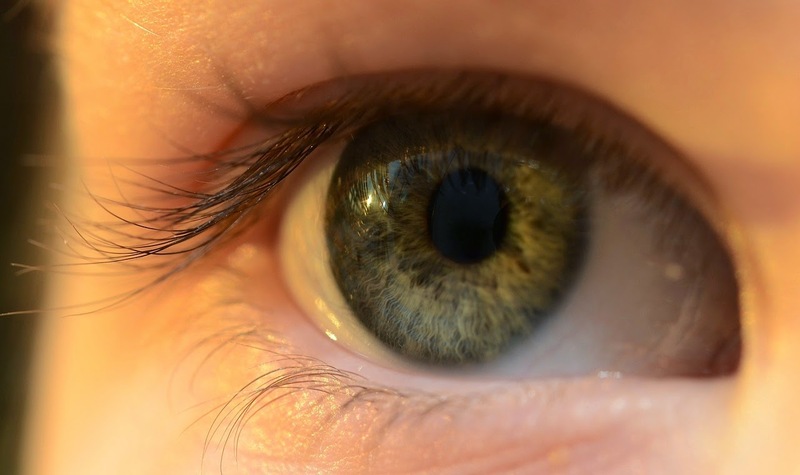 Eyes – Fearful horses will generally have wide eyes surrounded by white; a soft, relaxed eye indicates confidence. Head position – A nervous or excited horse will hold his head high with tense neck muscles. Horses rear, jump, backup, paw, move sideways and diagonally, buck, and frolic. Horses can also be playful, graceful, reluctant, bored, uninterested, uncooperative, afraid, and upset. Many have a very strong flight response to the unknown – for some horses, plastic grocery bags and blue tarpaulins are very scary. Note also that if you have a group of horses, they have to be allowed to work out the pecking order, as they all have different personalities. With a frightened horse, the eye will be wide. Temperament A horse that is happy and trusting will move in a fluid, loose manner. If a horse’s neck, back, or leg muscles are tight and rigid, it generally will indicate a quick reaction or flight. Sleep - Horses require an average of two and a half hours sleep in a twenty-four hour period. They don’t need an unbroken period of sleep time, but sleep in short intervals of about fifteen minutes. They do need to lie down occasionally for a nap for an hour or two every few days. If not allowed to lie down, they will become sleep deprived in a few days. They sleep better in groups, while others stand guard to watch for predators. 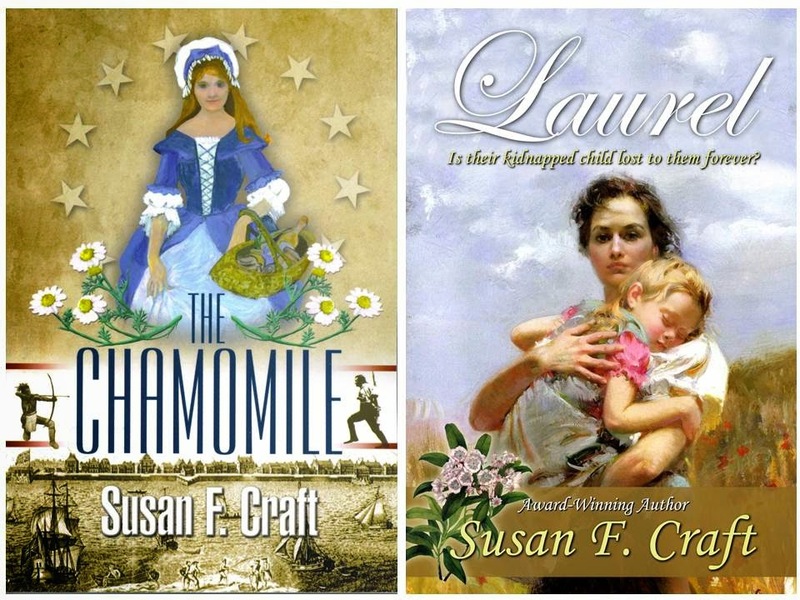 Susan F. Craft is the author of a trilogy of historical romantic suspense novels, The Chamomile (published in 2011), Laurel (published January 2015), and Cassia (to be released in September 2015).